An industrial standard for more than 30 years. Alternating Current Fundamentals has been updated once again to furnish readers with the most comprehensive information available on AC essentials. Topics are thoughtfully arranged to build knowledge, progressing from basic principles such as the differences between peak, rms, and average values to more complex coverage of circuits containing resistance, inductance, and capacitance. 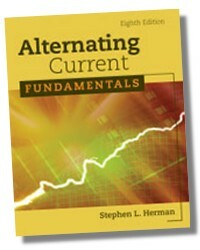 This edition of ALTERNATING CURRENT FUNDAMENTALS, 8E is fully updated, includes additional information on diodes and rectifiers, and contains improved graphics that will assist readers in understanding state-of-the-art concepts. Features improved graphics that help your students better understand concepts presented in the book. Contains new information on diodes and rectifiers. Information on capacitors, single-phase and three-phase transformers, and single-phase and three-phase motors makes this book one of the most comprehensive and cost-effective on the market. 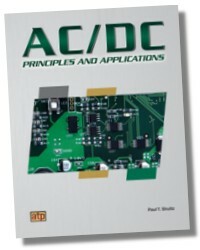 Contains examples of basic alternating current circuits that give theoretical concepts a basis in real-world applications. Practice problems in applicable chapters, as well as answers, so that your students can monitor their progress as they move through the book. Stephen L. Herman is a retired electrician and teacher with more than 30 years of experience to his credit. 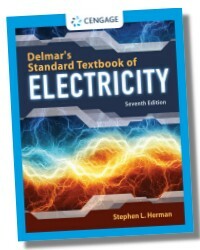 A seasoned author, his reader-friendly textbooks on electricity and mathematics are popular with students and instructors alike. For two decades Mr. Herman was lead instructor for the Electrical Technology Curriculum at Lee College in Baytown, Texas, where he received an Excellence in Education Award from the Halliburton Education Foundation. He also taught at Randolph Community College in Asheboro, N.C., for nine years and helped establish an electrical curriculum for Northeast Texas Community College in Mount Pleasant, Texas. 768 Pages - 7-3/8 x 9-1/4 in.